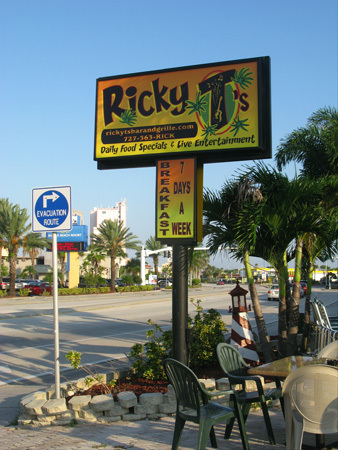 Breakfast at Ricky T's Bar and Grille, on Treasure Island, FL, was outstanding this morning. 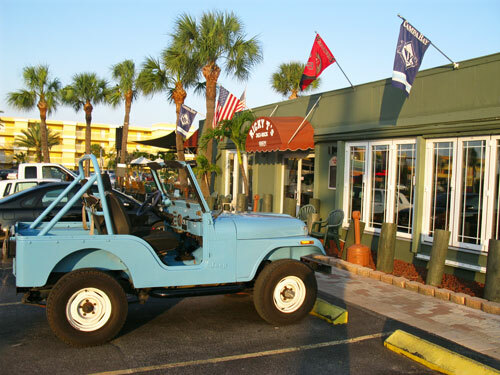 After finishing one of our beach interval workouts, it was great to relax here on Gulf Blvd for breakfast. 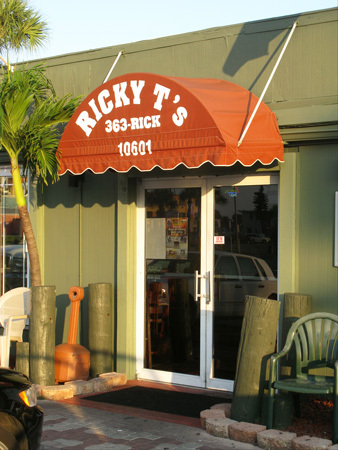 Ricky T's is a Treasure Island icon. 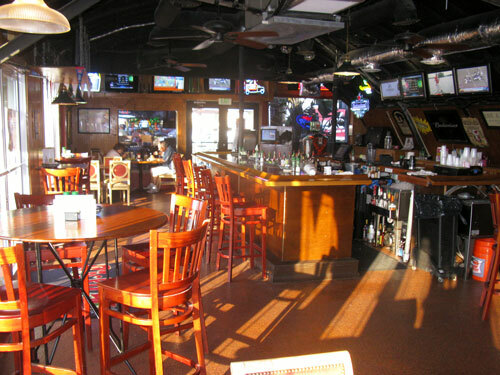 Since the mid-90's, this little bar has been a popular place where locals gather. Visitors easily find their way here, too. 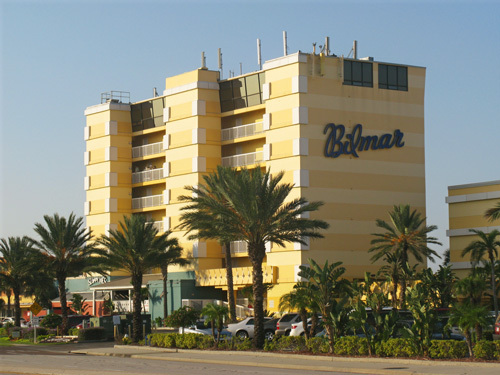 Located at the corner of 106th Avenue and Gulf Blvd (right across the street from the Bilmar Beach Resort), it is very easy to find. Although this place gets crowded and loud during the late afternoons, it is a quiet and cheap place to get stuffed for breakfast. The food is excellent, the service is great, and the pace is slow. What more could you ask for on a beautiful and lazy Florida Gulf Beaches morning? It's right across the street from the Bilmar. Another easy landmark on Treasure Island. Parking can be kind of limited, but the locals all walk here. The side door will take you to the inside seating if the weather is bad. The inside seating is nice, but when you live here in Paradise, you want to be relaxing outside as much as possible. 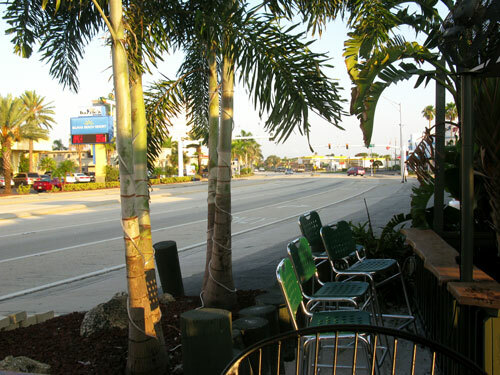 As you can see, there's not a whole lot of activity on Gulf Blvd on a lazy Saturday morning. 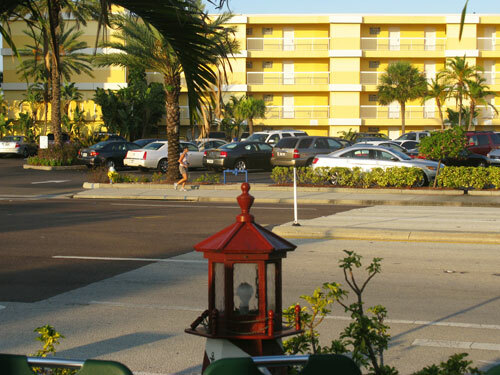 We did get to see a good-looking female runner come by on the Gulf side of the street. And a cute triathlete came whizzing by from the north. 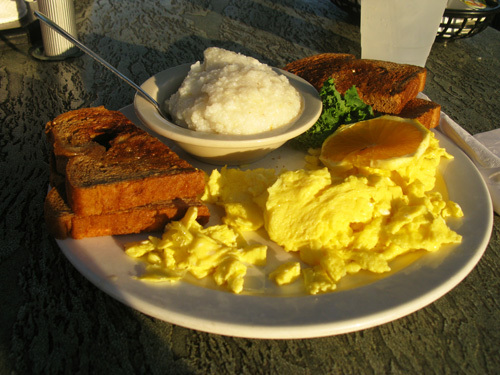 My breakfast at Ricky T's was two scrambled eggs, grits, and wheat toast on thick bread. Checkout the huge portions. How big was that chicken, anyways??? My entire bill came to $5.08...does it get any better? 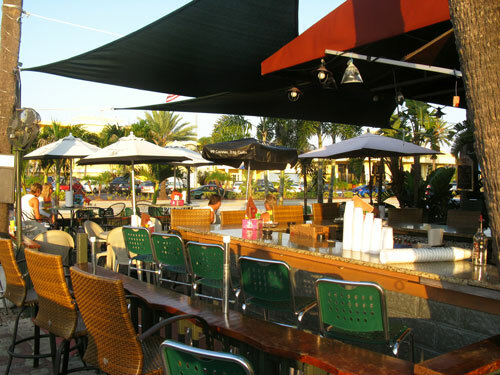 If you want to walk-off your meal before the shops open, the Treasure Island BeachTrail is just on the other side of the Bilmar.